As society confronts mounting challenges locally and globally, we must look for innovative solutions. That’s where invention comes in. Inventors observe problems and focus on creating new products and services that offer a better quality of life. 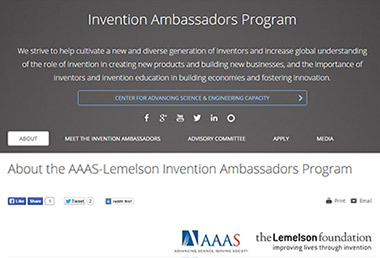 To highlight the importance of invention and cultivate a network of inventors, the American Association for the Advancement of Science (AAAS) and The Lemelson Foundation have created the AAAS-Lemelson Invention Ambassadors Program. The program selected its inaugural class in 2014 with seven Invention Ambassadors. Now, the program is calling for applications to select its 2015 class. They will be accepting applications until April 20, 2015. Inventors from all disciplines are invited to apply for the program. Those selected as Invention Ambassadors will give public talks and serve on panels to present their stories as inventors and promote the role of invention in the US. Celebrate and highlight the importance of invention and inventors. Increase societies’ understanding of the critical role of invention in improving our quality of life. Get more people excited about supporting or becoming inventors. Help cultivate a new and diverse generation of inventors. Increase global understanding of the role of invention, inventors and invention education and the need for a robust invention ecosystem in building economies and fostering innovation. 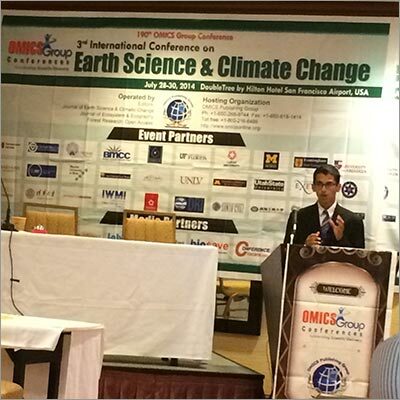 Heighten awareness of invention’s vital role in addressing the global challenges of our time. Celebrate inventors who insist on improving and sustaining our earth’s environment. Beyond this, we strive to create a community; the inaugural Ambassadors have bonded and shared information, time, thoughts and experiences with each other. AAAS and The Lemelson Foundation both have a history of invention. AAAS publishes Science Magazine, which was started by one of the most prolific inventors in the world: Thomas Edison. 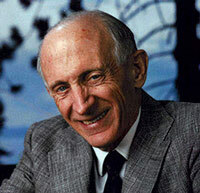 Dr. Jerome Lemelson, the founder of The Lemelson Foundation, held over 600 patents in various types of technologies, including industrial robots, fax machines, and information storage systems. The idea for the Invention Ambassadors Program was proposed by Dr. Alexander Nicholas a Program Officer for The Lemelson Foundation who manages a portion of the Foundation’s education and technology dissemination grants. The Executive Director of The Lemelson Foundation, Dr. Carol Dahl, whose background is in discovery sciences, innovation programs, and global health, has supported the efforts and spoken at several Invention Ambassador events. Dr. Karen Burg is an expert on biomaterials engineering with a focus on reconstruction of breast tissue post-surgery and 3D diagnostic benchtop systems. The final result is natural healthy breast tissue with no synthetic materials remaining or in need of removal due to the natural remodelling process. Dr. Burg received many awards throughout her career. Her invention is one of 10 technologies featured in the ongoing Avon Foundation for Women - National Institutes of Health Center for Advancing Innovation Breast Cancer Start-Up Challenge. Grama is the principal inventor of a thermal energy storage system used in refrigeration applications. Its first commercial application is for chilling milk in rural India where frequent power outages require back-up diesel generators. Grama’s thermal energy battery eliminates the diesel generator while preventing milk spoilage. In 2010, Grama’s company, Promethean Power Systems, co-founded Greentown Labs, a Boston incubator, to help start-up companies share prototyping space, tools and talent. Dr. Sanberg is an inventor on approximately 100 health-related patents. His work has been instrumental in translating new pharmaceutical and cellular therapeutics to clinical trials and commercialization for Tourette syndrome, stroke, ALS, Alzheimer's, Huntington's and Parkinson's disease, and he has significant biotech and pharmaceutical industry experience in these areas. He is the co-founder of Saneron CCEL Therapeutics Inc., and Natura Therapeutics, in Tampa, Florida, and Stem Cells Inc., in Palo Alto, California. Dr. Veedu is Director of Strategic Initiatives at Oceanit, a leading Engineering/Research and Development Company responsible for supporting key Initiatives for the corporate business. He earned MS and PhD degrees in Mechanical Engineering from Florida Atlantic University (2003) and University of Hawaii (2006). Dr. Veedu is an active researcher in the area of nanocomposite materials. His research is targeted towards developing multifunctional nanostructures and hybrid platforms for various commercial and defense applications. In 2007, Dr. Veedu became part of the Guinness Book of World records for the creation of the smallest nanobrush. In 2008, he began hosting his own TV show called Weird Science with Dr. V on HawaiiNewsNow (a CBS/NBC affiliate channel). He has more than 25 approved/pending US patents. His works have received wide acceptance in the nanotechnology community. Dr. Veedu also serves the NASA Space Center in Houston as Technical Advisor and he also supports the Houston Technology Center as Energy Advisor. Since 2011, Dr. Veedu has been serving Rice University as an Adjunct Assistant Professor at the Mechanical Engineering and Materials Science department. Dr. Rory Cooper holds eight patents. He invented several devices, including the “Mobile Caster,” “Robotic Strong Arm,” “Steering Mechanism for a Personal Vehicle” and many other inventions. Dr. Cooper has received numerous honours for his work, including the Paralympic Sports Science Award from International Paralympic Committee, Secretaries Award for Diversity and Inclusion from the U.S. Department of Veterans Affairs, Outstanding Civilian Service Medal from the U.S. Army War College, and many other awards. Dr. Stamets is the founder of Fungi Perfecti and Host Defense Organic Mushrooms, and has been a dedicated mycologist for over thirty years. Over this time, he has discovered and co-authored new species of mushrooms and received nine patents. Two of his books, Growing Gourmet & Medicinal Mushrooms and The Mushroom Cultivator, have been heralded as the “bibles” of the mushroom industry. His latest book, Mycelium Running, How Mushrooms Can Help Save the World, has propelled his vision of using mushrooms to help save ecosystems and improve population health to the world stage. Paul has received numerous awards and Honors for his contributions to the science of medicinal mushrooms and ecology. Steve Sasson joined Kodak in 1973 and worked throughout the 1970s as an individual contributor in the Kodak Apparatus Division research laboratories, engaging in a number of early digital imaging projects. Among these was the design and construction of the first digital still camera and playback system in 1975. He joined the Output Systems for Kodak’s Professional Products organization that developed and introduced a number of ground-breaking products, which included two families of thermal printers that provided the output engines for the large kiosk placement that occurred during this time. In addition, printers based on AgX, laser thermal and inkjet marking technologies were commercialized in support of the professional photography and graphics markets. 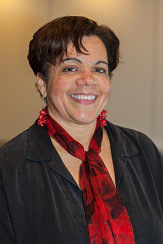 Yolanda L. Comedy is the Director of the American Association for the Advancement of Science (AAAS) Center for Advancing Science & Engineering Capacity. Dr. Comedy obtained her PhD from Indiana University in Political Science and Public Policy. She worked for the White House, serving as a Senior Policy Analyst for both the President’s Committee of Advisors on Science and Technology and the President’s Information Technology Advisory Committee. She then moved to IBM and was integral to the creation and implementation of initiatives in philanthropy, and consulting on issues ranging from education reform, to the impact of advancements in semiconductors and supercomputers, to innovation, and the effect of a global pandemic on business. She has recently served as chair of the AAAS Committee on Science, Engineering and Public Policy (COSEPP) and the Women in Engineering Program Advocates Network’s (WEPAN) Knowledge Center.